Recent increased ocean exploration at greater depths has revealed a variety of hidden treasures, including deep pristine reefs, well-preserved wrecks, and valuable historical artifacts. However, venturing deeper bears inherent risks that can be mitigated with proper training, knowledge, teamwork, and gradual experience. The Technical Diver Level 1 course requires a certification at GUE Fundamentals level with technical certification requirements and a minimum of 100 experience dives. Divers embarking on a technical path must be prepared to handle emergencies and execute dives during which they will not be able to make a direct ascent due to decompression obligations. 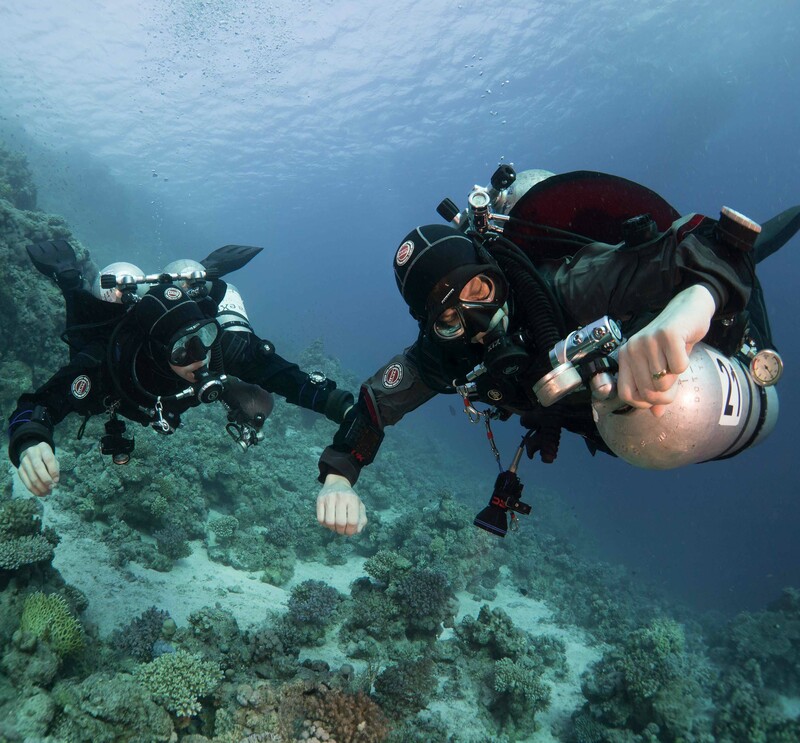 This type of diving requires an increased level of physical fitness, as there is more equipment to handle, and decompression stress is increased. Have earned a GUE Fundamentals - Technical certification. Have a minimum of 100 logged dives beyond autonomous entry-level scuba diver. The Technical Diver Level 1 course is normally conducted over six days. It requires a minimum of seven dives (including three trimix experience dives) and at least 48 hours of instruction, encompassing classroom lectures, land drills, and in-water work. Advanced underwater missions beyond 50 m/170 ft require a robust skillset, extensive experience and in-depth knowledge, as well as resilience to handle potential difficulties at greater depths. GUE’s Technical Diver 2 course is designed to enhance deep diving proficiency while using helium breathing gases and oxygen-enriched decompression gases. GUE’s Closed Circuit Rebreather Diver Level 1 course is intended to provide the opportunity for divers to gradually transition from open circuit diving to closed circuit diving. The course is intended to challenge divers in a comfortable environment that emphasizes the need for learning management, maintenance procedures, and protocols of the closed-circuit rebreather. The course also emphasizes the need for increased physical and mental fitness.